Apex Grounds Management Inc has been serving the greater Baltimore/Washington D.C Areas for more than 30 years with a full range of maintenance and landscaping services. What makes us different? It's our people. Our proficient, honest and experienced crews will earn your trust and respect from the first day we are on your job. Landscaping provides an important first impression. From sweeps of colorful flowers to the simplicity of a finely manicured lawn, an attractive landscape can add value, weather it be your home or business, Apex can work with you to create a landscape that is not only beautiful, but cost efficient as well. 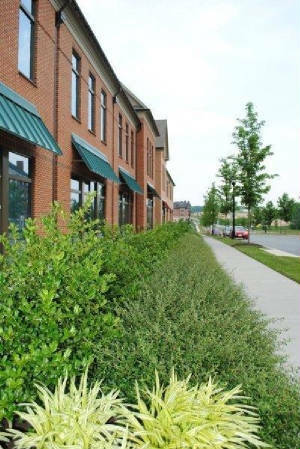 Apex Grounds Management is committed to providing landscape services which protect and enhance your landscape investment. Whether you're a homeowner, property manager or general contractor you can rely on our experienced management team and crews. Apex has the experience and expertise to meet all aspects of your landscape requirements.